Advocacy Taking a Strong Stand for Students Everywhere. A solid education sets a student up for future success. But the journey is getting more difficult by the day. College prices are skyrocketing. Income inequality is growing. And students are making hard decisions with massive debt staring them right in the face. That’s why we advocate for students and empower them to advocate for themselves. We work to ensure students incur less debt while pursuing their college education. We engage in ways and support programs that help strengthen financial support for students. The American Dream begins with believing it is for everyone. Not just the 4.0 students. Or those of a certain ethnicity. Or economic background. Or situation in life. That’s why we’re advocating for fair and equal equity, across the board. We want students to get the full benefit of private scholarships. The full cost of college can include housing, food, transportation, and more. We want to broaden the understanding of educational expenses so students can apply aid packages more meaningfully. There are many ways to spark change. And there are people all around you that can help make it happen. It can be as simple an open discussion at a local coffee house or campus commons. There’s power in connection. You have a story. Share it openly on social media. Start a podcast. Or submit an Op-Ed piece to your local media outlets. Express yourself honestly and authentically, and help the rest of us realize what student life is really like. Have a story you’d like to share with us? Email students@scholarshipamerica.org. We want to hear from you! Collegiate Partners is a program to ensure you get the full benefit of private scholarships. 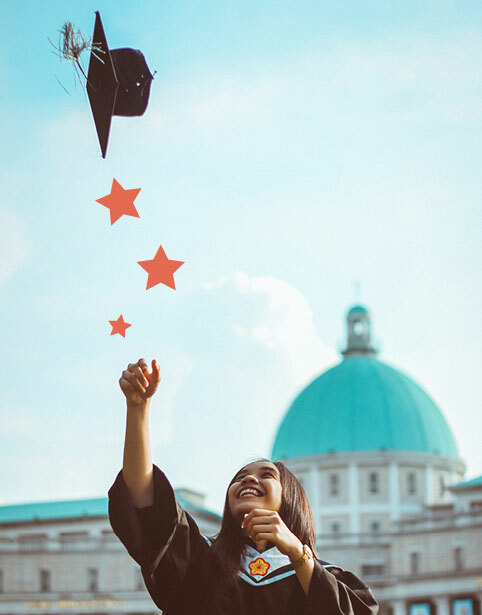 Our partners are institutions that have committed to using scholarships you are awarded through Scholarship America as additional aid after the institution’s financial aid package has been calculated. If your school isn’t on the list, encourage them to join. If you’re interested in creating change for students everywhere, we want to hear from you.